I really like the iPad – it’s a great tablet. I am not a huge fan of the on-screen keyboard though. I also don’t really like to have to carry a bulky external keyboard with me either. That leaves me in a jam if I need to travel with the iPad for work. 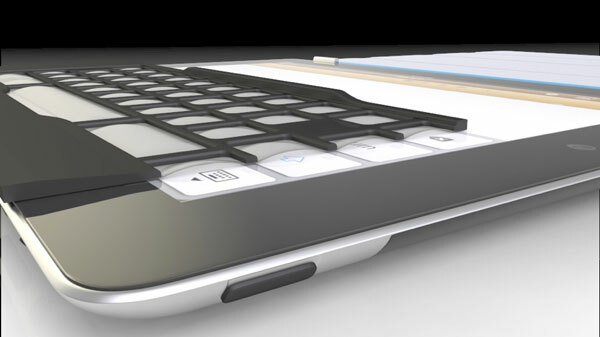 A new concept has surfaced that will get me and others out of the keyboard conundrum called the iKeyboard. The device isn’t an external keyboard or a case with a keyboard inside. It’s a thin and lightweight overlay that clips to the screen of the iPad. 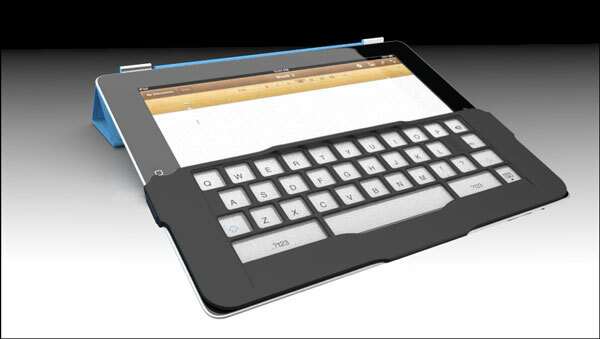 The overlay has little windows cut out that fit right over the virtual keys on the on screen keyboard of the iPad. Inside those windows are pieces of a material that allows the use of the keyboard. The material used is curved slightly so when the user clicks the key the feeling of hitting a real key is conveyed. The idea is that by actually being able to feel the key and feel the click you will be able to touch type on the iPad without having to take another keyboard with you. 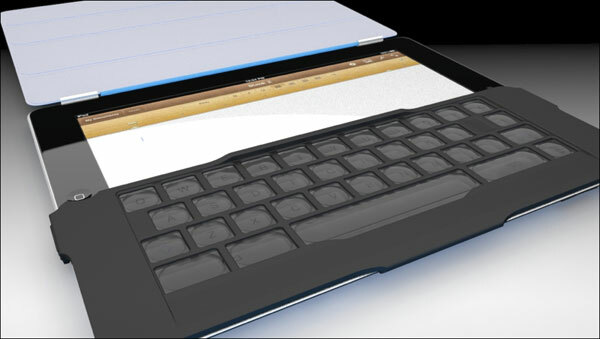 The iKeyboard concept was created by Cliff Thier, and is on Kickstarter right now seeking $4,000 to come to reality. As of now, the project has already raised more than half of that goal, so it’s more than likely going to come to fruition. A pledge of $30 or more will get you one of the first iKeyboards to roll off of the assembly line.